(a couture collection no less) that it all got too much. 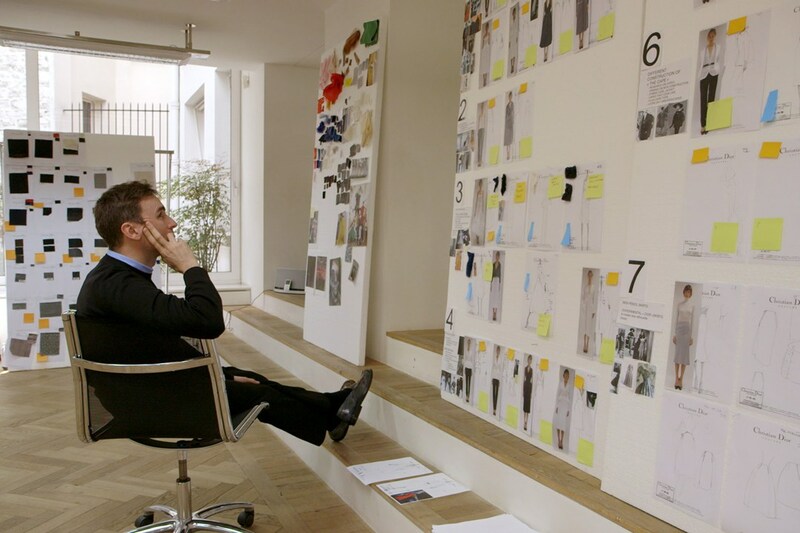 Frédéric Tcheng's solo directorial debut brings the viewer inside the storied world of the Christian Dior fashion house with a privileged, behind-the-scenes look at the creation of Raf Simons' first haute couture collection as its new artistic director-a true labor of love created by a dedicated group of collaborators. Melding the everyday, pressure-filled components of fashion with mysterious echoes from the iconic brand's past, the film is also a colorful homage to the seamstresses who serve Simons' vision. 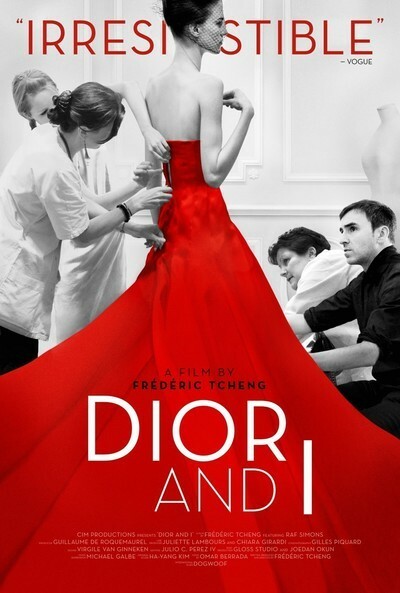 Dior and I has been on my must watch list for a very long time. 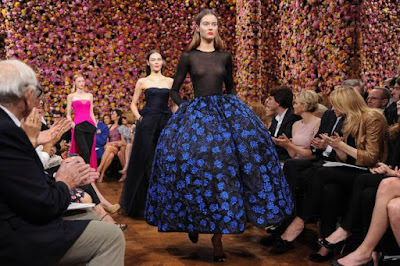 Last night I managed a quiet evening at home by myself to sit back, relax and enjoy this documentary on Belgian fashion designer Raf Simons first Haute Couture collection for Paris based Christian Dior fashion house. Having interviewed many artists within the fashion world over the last nine years - as well as previously creating over 120 dance custom dance costumes a year by myself - I knew this movie would be a nail biter. I was not wrong. In 2012, Dior was looking for a new creative director. Simons was an unusual choice in some ways as he was currently working for a minimalist sportswear brand producing retail clothing and more known for menswear. This would be his first couture collection. He started by being introduced to the two groups of talented in-house professionals who would make his ideas come to life - the atelier that worked on dresses and the atelier that created the suiting. Each had one woman - a Premiere - in charge. 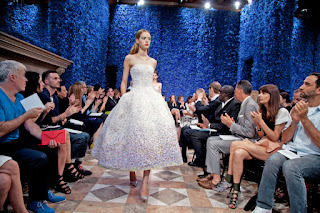 Then he was given only six weeks to create a couture collection - something that normally takes four to five months. I loved the fact that from the start, the film interspersed verbal and visual moments of Dior himself - his ideas, how he felt about the fame and his work. At times there were similarities between the original Dior and the new designer. Many who work for the fashion house feel Dior's spirit is still there watching over the label. I was charmed that Simons started by really researching the label - the silhouettes, the fabrics - by looking at both photographs and garments on models. Only then did he try to extract the essence of the fashion house's DNA so he could find a way to modernize the looks. One note I found impressive was how the designer gave away early control of the designs. Simons does not draw, but created 12 packages on looks he wanted which were given to teams who created over 100 drawings. He then selected the looks that would move forward into production. These drawings were then put on a table in the atelier and each professional was allowed to select the look he/she wanted to work on. 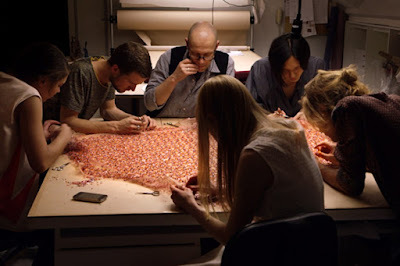 Watching them hand pin the pattern (hundreds and hundreds of pins on each look) until it laid perfectly and fell into just the right shape was breath-taking. These same two ateliers within the Dior fashion house have a large number of couture clients who had to be dealt with at the same time. They spend thousands and thousands of Euros on custom clothing each year and if there is a problem, the premiere for the department must fly out and take care of it - regardless of the deadlines for the fashion show. There were tense moments when conflicts arose as to where the focus should be. When the designer who had patiently stayed away while the ateliers were creating the silhouettes worked finally expected a day of fittings and things were delayed - sparks began to fly. There were also problems with a few special fabrics Simons wanted created as there are only a few artisans left who could do it and they were booked solid. Somehow the dedicated staff pulled strings and it arrived, but there was no time for a test - the first time ever. Deadlines were looming. Fortunately he was happy with the results. Next was the show preparation. It must be nice to have such a huge budget. They rented a beautiful, large home, painted and cleaned it, then lined the walls with fresh flowers - a different colour for each room - white, blue, mixed. The smell of the flowers wafted for blocks. And all had to be installed less than 36 hours before the show to keep them fresh. Models would walk on continuing circuit that moved from room to room. As the show nears, we finally see Simons begin to crack a bit. He does not want to have a lot of pictures taken. He does not want to walk the runway after, :"I will faint!" It all comes to a head when he takes a breather outside as guests are arriving and breaks into tears. Then he heads backstage where there is an array of cameras showing all the rooms. He catches glimpses between checking each look before it goes out. Tears again come. In the end Simons walks all the rooms where he receives many standing ovations, exuberant cheers and hugs from a few close friends. We see him at the media wall with cameras flashing. The pressure has fallen away and he is reveling in the moment. I am sure this is a high moment like none other. Haute Couture is an amazing part of the fashion world. It is where tremendous skill and unbelievable artistry come together to make garments that will find their way into serious collections in the future. I hope it survives our ready-to-wear, cheaper-the-better focus that seems to permeate the industry today. Oh that I had the budget to own one of two custom made pieces produced at the hands of the artists I saw working in this film.